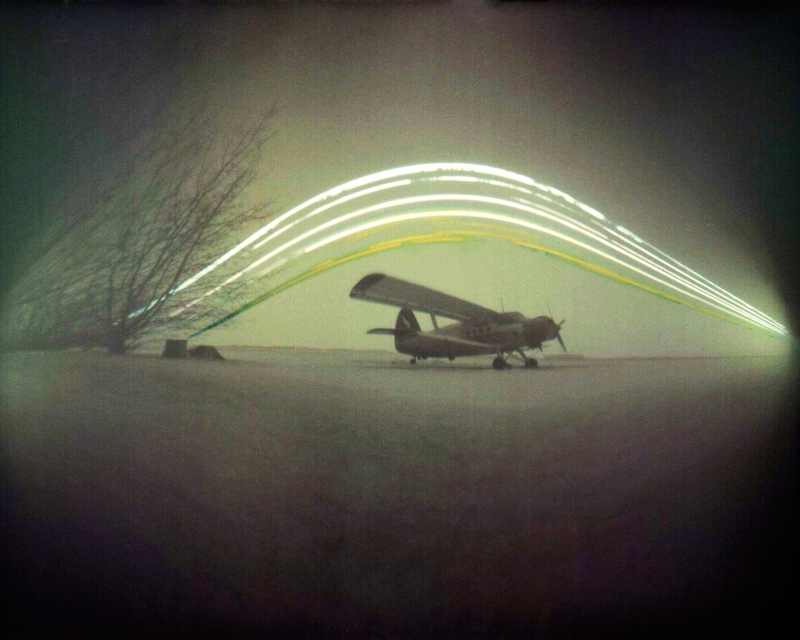 Explanation: From January 11 to February 25 2013, a pinhole camera sat in a field near Budapest, Hungary, planet Earth to create this intriguing solargraph. And for 45 days, an old Antonov An-2 biplane stood still while the Sun rose and set. The camera's continuous exposure began about 20 days after the northern hemispere's winter solstice, so each day the Sun's trail arcs steadily higher through the sky. These days in the Sun were recorded on a piece of black and white photosensitive paper tucked in to the simple plastic film container. The long exposure produced a visible colour image on the paper that was then digitally scanned. Of course, cloudy days left gaps in the solargraph's Sun trails.